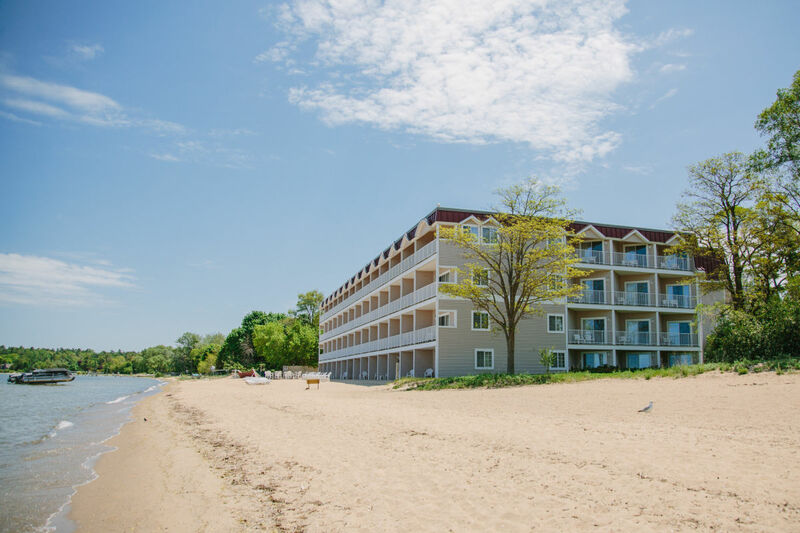 Bayshore Resort: Traverse City Uncorked! Enjoy Traverse City Uncorked! Throughout the month of May, stay at The Bayshore Resort and add on the TC Uncorked wine package. Traverse City Tourism and the Traverse Wine Coast are providing a $30 certificate good for one transaction up to $30 of merchandise -- excluding tastings (Valid until May 31st). Along with this certificate, there will also be a logoed water bottle and a "Super Ticket" redeemable for one pour each, for two people, per Traverse Wine Coast winery. Packages start at $89, May 1st -10th, for mid-week nights for a standard room and $129, May 12th - 30th. Weekend rates do vary. Call (231) 935-4400 today to make your Traverse City Uncorked reservation and be sure to mention this special.